I recently blogged on Recent HTML5 Links of Interest and discussed Chrome's announcement of their intention to drop support for the video codec H.264 in the <video> tag (see also the comments section of that post), Modernizr's coverage of undetectable HTML5 features, the People of HTML5 series, and HTML5 templates. Although that post was published less than two weeks ago, there have been more significant developments in HTML5 news since then and I cover some of those stories here. The World Wide Web Consortium (W3C) released an HTML5 logo in different styles and formats, but the with the same general presentation theme. 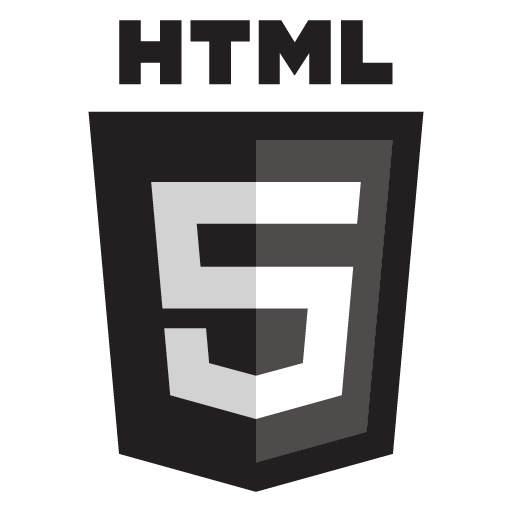 Ian Jacob's interview of Michael Nieling and the HTML5 Logo FAQ provide additional background information regarding this logo, ideas behind its creation, and motivations for its creation. There has been significant enthusiasm in the blogosphere regarding the HTML5 logo, but there have been skeptics as well. Ian Jacobs addresses some of the concerns in The HTML5 Logo Conversation. The main HTML5 logo page provides for downloading the various logo representations (black/white, orange/white, with or without "HTML", SVG, PNG, various resolutions, etc.). A few of the logos as provided by the W3C are shown next. The W3C not only provides the HTML5 logo itself in different formats, but it also provides icons representing various technology classes. The HTML5 Logo page has a section on which each of these eight icons can be clicked on to see a brief description of what the icon represents. The idea is that these icons can be appended to the HTML5 log either vertically or horizontally to represent which "HTML5" features a particular site supports. Here are those icons with descriptions that are even more brief than those on the HTML5 Logo page. The license requires attribution and, as stated above, the HTML5 logos shown in this post are attributed to the World Wide Web Consortium. trying to version it ("HTML"). In more length: "HTML5" has at various times been used to refer to a wide variety of technologies, some of which originated in this document, and some of which have only ever been tangentially related. This specification actually now defines the next generation of HTML after HTML5. HTML5 reached Last Call at the WHATWG in October 2009, and shortly after we started working on some experimental new features that are not as stable as the rest of the specification. The relationship between WC3 and WHATWG and their respective relationships to HTML can be a source of confusion. A good summary of these two groups and their relationship to each other and to HTML and other web technologies can be found in Dive into HTML5: How Did We Get Here? which describes the convoluted relationships between HTML5, WC3, and WHATWG. The post Reinventing HTML describes the decision in late 2006 to have the W3C and the WHATWG collaborate on "HTML5" (Web Applications 1.0). Another interesting post for reading about what constitutes "HTML5" is the concise post HTML5 Brief: in a couple paragraphs. The post HTML5 - what is it and what’s in it for me? summarizes the observations and conclusions drawn by "just another software engineer" regarding what HTML5 is. The post Falling for HTML5: Finding Love in the Little Things is a summary of the "little things" in HTML5 that Felicity Evans believes "will make the world of difference to the way I code day-in, day-out." She covers HTML5 advancements such as block-level <a> element, form placeholders, and the <section> element. Just as some enterprise Java developers gloat in their "superiority" when they know it is Java EE rather than J2EE, it seems that this is an opportunity for the same type of personalities to gloat when they know that it's now just HTML rather than HTML5. Of course, then there's the logo with the prominent "5" that's just getting started. Its main page's URL doesn't include a "5" (http://www.w3.org/html/logo/), but the logo does. The logo with the "5", the specification without versioning, and Google Chrome's dropping of support for H.264 in its <video> element all mean that the web development environment will remain for the foreseeable future as it has always been: inconsistent support across multiple browsers will require developers to use feature detection, graceful degradation, and other now common web development tactics as they adopt HTML5 features. Most Creative 404 HTTP Response Ever?